Cory Vanderpool is the Business Development Director for Magnum Energy Solutions (www.magnumes.com), located in Hudson Ohio. Magnum is a manufacturer of wireless energy management technology. Prior to joining Magnum, Cory was Director of the EnOcean Alliance, an organization dedicated to the advancement of open, interoperable building technologies. Cory began her career in government contracting, but during her pursuit of her PhD in Environmental Policy, she realized her passion for environmental stewardship was something she wanted to make her career. Cory serves as a board member for the National Federal Development Association and was a contributing writer for TriplePundit.com. Sinclair: Please give us an overview of Magnum’s Cardinal introduction. Vanderpool: Cardinal IoT is built on Amazon Web Services’ (AWS) open platform. The solution includes three critical “things,” the first of which starts with the end devices, which in this case are wireless, self powered sensors that exist at the “edge.” These sensors collect various data points associated with the operational systems of the building. 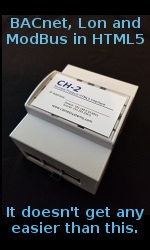 These sensors transport their data over RF to Magnum’s gateway, the cBox or Cloud Box. The cBox then delivers the information to Amazon’s IoT platform, where the rules for the logic are established and also where the data can be further analyzed. The system can be utilized for monitoring applications but also for controlling devices back to the edge, like LED lighting, for instance. Sinclair: What are building managers struggling with as they look to incorporate multiple, disparate devices into the Internet of Things? Vanderpool: Building managers will struggle with a variety of questions as they try to determine what is real and what is hype as it pertains to the IoT. One issue, although maybe not the most important, will be regarding data privacy. Who owns the data? We selected AWS because they give customers ownership and control over their content by design. In addition - and probably more important - is the issue of data security. If the data gathered from devices isn’t properly secured, it puts both the end users and manufacturers like Magnum Energy Solutions (MES) at risk. For example, the data collected from a smart thermostat can reveal when someone is home-based from their settings. If this information isn’t adequately secured, it could be used by thieves to determine when to break into a home. For MES, partnering with AWS was a critical and strategic decision based on these two important factors. We didn’t want to launch a solution that would put MES at significant risk and therefore chose the industry leader in cloud applications as our partner. Sinclair: How can building managers make the best use of the information coming from the Internet of Things? Vanderpool: There are many ways in which the IOT will be utilized, from smart buildings in smart cities to consumer devices, like wearables. As it relates to the IoT and buildings, MES believes that the real benefit is the ability to gather data from various sources and analyze it to understand trends and predict future operational opportunities. For building owners and managers in the retail space, the IoT allows for the combination of data from the building, lighting, and point of sales to drive things like push notifications out to consumers. Corporate entities that have stores all around the country and aggregate store data into an enterprise application like Cardinal. Facilities staff and owners can easily look across their store portfolio to see what is happening at the various locations and compare this data based on things like geographical influences, for instance. Sinclair: What are the implications associated with software-dependent lighting control systems? Vanderpool: It isn’t so much that there are limitations, it is that there are considerations to be paid on whether or not a software dependent lighting system needs to be utilized for an application. There are many lighting control systems available today and many of them actually require a proprietary software platform to bring “intelligence” to the solution. This software itself can cost upwards of $135 per fixture in addition to the luminaire costs. These costs reflect the necessary gateways, commissioning and licensing models. Because these systems are proprietary, they are difficult to tie into the IoT and building automation systems. In most use cases, the data from the sensor edge would be required to pass through this third-party software before entering the IoT platform or integrating into the BMS (building management system), therefore taking an unnecessary and costly step. Sinclair: How does the push for standards in the IoT impact this effort? Vanderpool: Internet of Things alliances, like the new IoT Ready Alliance, are actively pushing for standards within IoT, but it is important to view these motivations with careful examination. Solutions from companies like Enlighted, Daintree, and Lutron are critically dependent on centralized intelligence since their edge level devices have very limited to no processing capabilities. When it comes to the advent of IoT, these centralized systems could have a difficult time finding a home since the "data" processing they enable is entirely software dependent. This poses a problem for entry into the IoT since all of these ‘smart’ systems are reliant on proprietary software. They are creating more disparate stovepipes than seamless integration into the IoT.